“I’ve learned that one voice, one act of kindness does make a difference.” -Mac Meek, Student Ambassador. When Mac Meek, of Ashland, Kentucky, got involved in the Mutt-i-grees® Curriculum several years ago, he did it for one reason: to help animals. He never dreamed he’d travel to New York City to be honored for his work. Yet that’s exactly what happened. The guests were on their feet when 17-year-old McKinny (Mac) Meek walked to the stage to accept North Shore Animal League America’s first Humane Leadership Award during the organization’s Get Your Rescue On® Gala, on November 30, in Manhattan. 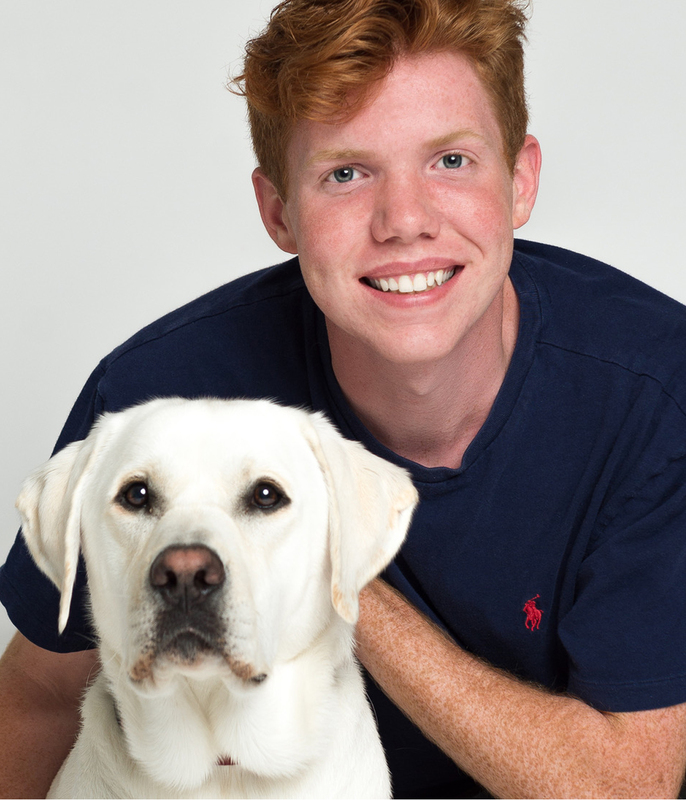 Now in his second term as a Mutt-i-grees® Curriculum National Student Ambassador, Mac was recognized for his leadership, compassion, and initiative. Along with 18 other ambassadors from California to Oklahoma to New York, Mac is making the Curriculum and its goals a vital part of his community, while saving lives and influencing other students, their families, and civic leaders. Mac has participated in Mutt-i-grees since middle school. As a member of the Mutt-i-grees/AARF (Ashland Animal Rescue Fund) Teen Council, one of the Curriculum’s most active organizations, Mac taught Mutt-i-grees lessons and mentored younger students in the Curriculum. An honor roll student and outstanding tennis player, Mac is currently president of his high school’s Mutt-i-grees Youth Board, helping stage many events to educate the community, generate adoptions, and benefit Ashland’s no-kill shelter. In 2016, Mac was instrumental in organizing a successful Ashland-to-New York humane relocation transport. The following spring, he created “Mutt-i-grees, You Light Up Our Lives,” a fundraiser honoring shelter animals past and present. And every April, as part of Mission Mutt-i-grees program, Mac and his teen council take part in our Tour for Life®, coordinating special events that help dogs, cats, puppies, and kittens find responsible, loving homes. We established the Ambassadors Program in 2014 to identify, engage, and recognize exceptional students who want to advocate for and help raise awareness about the plight of homeless animals. Students are nominated by educators to participate in this service learning, leadership building opportunity. To qualify, students must be affiliated with the Mutt-i-grees program at their school, library, or other program site. Ambassadors spend time throughout the academic year working on various animal welfare and humane education projects of their choice, with a goal to inspire other students and community members. Once elected, ambassadors receive a $500 honorarium, which is sent to their school to cover activities, materials, and other expenses incurred in connection with their humane advocacy efforts. The appointment is for one academic year; students may re-apply in subsequent years. Learn more about the program here.